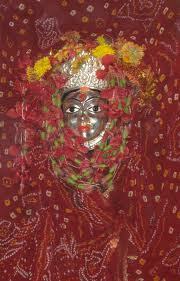 Mangla Gauri Pooja is Coming August2013. Long long ago a boy who was studying under a guru went from house to house seeking alms. This was a tradition then and the Guru and shishya only took what was needed for the day. But strangely this boy refused alms given by the queen of the land and took alms from other women. The king and the queen of the land were staunch Shiva devotees but did not have any children. The queen and the king discussed this strange incident and the next day, the queen again offered rice to the young boy. But the boy did not accept it. The king came and asked why he was not taking the rice from the queen. The boy said that the king and queen did not have children and it would not be wise to take alms from a couple who is unlucky. The king got angry and said only Lord Shiva can decide who should be lucky and unlucky. The king who was an ardent devotee of Lord Shiva soon realized that the boy was Shiva in disguise. He then prayed to forgive his arrogance and asked to be blessed with a child. Shiva blessed the couple but said their child will only live for sixteen years. A boy, Chandrasekhar, was born to the couple and soon time passed by and the boy became a teenager. The king and the queen remembered the words of Shiva and decided to send young Chandrasekhar, who was fifteen, to Kashi. It is believed that those who die at Kashi will never beborn again. Young Chandrasekhar was informed about his fate and without any other option he followed his uncle to Kashi. On the way, the young boy saw several new things. In a garden, they met a lovely princess. The boy and the uncle heard the princess discussing the glory of Mangala Gowri Puja. It was the Shravan month and the girls were performing the Mangala Gowri Vratha. The princess was saying that whoever she marries will live a long life because she performs the Mangala Gowri Puja with pure heart and devotion. The boy and the uncle moved forward and they met a prince who was sick. He explained to them that he was to marry the princess of the kingdom tomorrow but he was ashamed to go in front of people as he has fallen sick. The prince asked Chandrasekhar to help him out by appearing in themarriage function. Candrasekhar agreed. Young Chandrasekhar appeared as the groom and the first day of the marriage function passed away smoothly. That night Chandrasekhar was to turn sixteen. He explained about his fate and about the real prince to the princess and decided to leave next morning to Kashi. But that night the princess saw a snake approaching Chandrasekhar; she grabbed a handful of unbroken grains used to perform Mangala Gowri Puja and threw it on the snake. The snake fell dead. She took the snake and hid it in the Kalash used to perform the Mangala Gowri Puja. Chandrasekhar left the next morning and he left his wedding ring there. The other prince took the place for the day’s wedding ceremony but the princess was not ready to marry him. She said firmly that Chandrasekhar was her husband and she will only sit next to him. Chandrasekhar reached Kashi and a year passed. He did not die. The strength and devotion with which the young princess performed the Mangala Gowri Puja saved him. While returning back to his kingdom, Chandrasekhar again reached the same spot. He longed to see the young princess even though he believed that she was happily married to the prince. 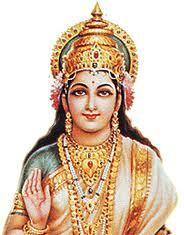 Chandrasekhar heard that the princess was in the habit of feeding all the people who passed by her kingdom. He went and sat among the people who was par taking the food offered by the princess. Soon the princess appeared. She was closely examining all the people who were eating. She has been doing this from the day Chandrasekhar left; she was sure that one day he will pass by her kingdom. In no time, the young princess recognized Chandrasekhar. She showed him the wedding ring. The young Chandrasekhar could not control his tears. He said he did not die. The princess said she knew it and explained what happened on the night when he turned sixteen. Soon they got married and lived happily there after. After reading and the story, mangala gawri kajal is made. 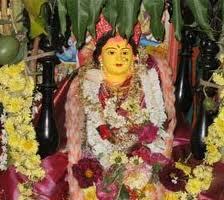 In some regions Women hold the 16 deepas lit for the Mangala Gowri puja. keep a steel spatula smeared with betel leaves juice on the aarathi to get a black soot, which is mixed with Ghee and applied as kajal / eyeliner. 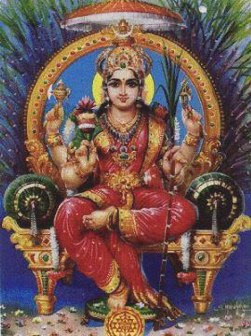 The procedure is rub a ladle with betel leaves.Then hold it on the flame of the lamp.The flame will leave a black patch(kajal like) on the ladle.It is then applied to the Gowri’s and we are supposed to sport the kajal. 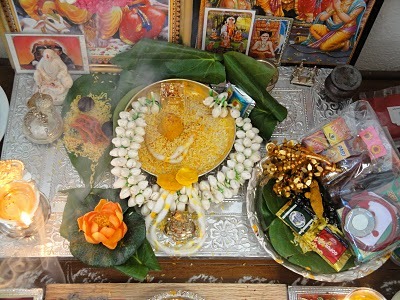 Invite women (Sumangali) to hom offer Mangala drowya, betal leaves, fruits, kumkum and Haldi(Turmeric), sandalwood paste and do namaskara / obeisance to god and all the elders in the house. 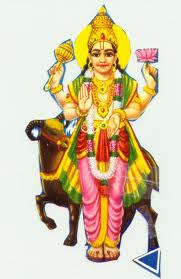 By observing this vrata, women believe that they will be blessed with long lasting and successful married life. The method of performing Mangala Gowri puja varies from region to region. This is just to give an idea about the ritual. You can always be flexible in all Hindu rituals what matters more is devotion. And one should not ponder too much over the correct performance of rituals. A simple prayer consisting of lighting a lamp and offering a fruit is more than enough. Before starting the puja clean the puja room and take make rangoli. Keep a flat wooden platform/ plate spread a blouse piece over it. Over the blouse piece spread a cup of rice . Place a cloth and spread some raw rice on it and place kalash on it. The Kalash is half-filled with water and decorated with betelleaves, usually five in number.The Kalash tray can be filled with turmeric, kumkum, sandalwood and other Pooja items.Now close it with with coconut with red cloth folded like pyramid. Keep either a silver Mangala Gowri or a Turmeric Gowri. Keep a mirror behind the Mangala Gowri and two blouse pieces, which are folded in a triangle shape on either side of the mirror. Keep 16 betel leaves and 32 betel nuts over it, and a whole dry coconut in a tray, some people halve the dry coconut and fill with rice and keep it on either side of the Gowri. Decorate the Idol with flowers. Keep fruits , cocnut, or offer payasam made payasam( dhal+rice payasam) and rice+dhal along with fruits/dry fruits as prasadam.